Entrepreneurship, Get To Know Us! 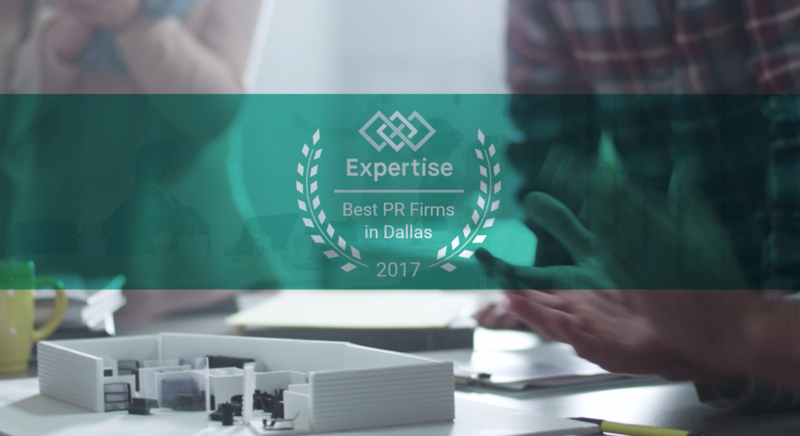 EJP Marketing Co. LLC is proud to announce that we have been named a “Best PR Firm in Dallas” by Expertise! One year ago Ayona Anderson launched EJP Marketing Co. LLC, a Millennial, woman, and minority-owned marketing and public relations consulting firm in Dallas. We have worked with amazing clients and agency partners such as, Purpose Tea, GLAMCON, Selfless Love Foundation, Brand Agent, Connective Partners, and more. We’re also proud of our 5-star rating based on their Google Reviews! Some of our integrated marketing packages and consulting services include social and digital media marketing, public relations, brand marketing, issues management, graphic design, search engine optimization, as well as search engine marketing. Our consultant team is so passionate about helping our clients remain competitive in our evolving and digital society. We create successful marketing campaigns from the ground up based on our clients’ goals and vision. Our mission is to help businesses grow through custom strategies, rooted in a digital-first approach. Credibility: Building customer confidence with licensing, accreditation, and awards. Professionalism: Providing service with honesty, reliability, and respect. Survey the field: find every business that provides service in the city and meets the criteria. Rank the business: use our in-house software to grade each business. Hand pick the best: review the highest scoring results. EJP is extremely honored to receive this award as we continue to reach for new heights within EJP’s team, as well as for our clients. Our #1 goal is to ensure that we’re helping businesses, and agency partners, leverage digital media marketing, social media strategy and public relations to reimagine the growth potential for their business. 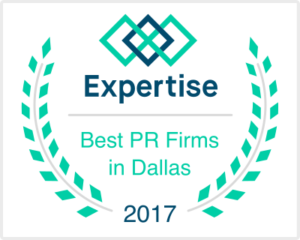 Expertise, thank you for including EJP among this list of top PR firms in Dallas. Would you like to work with EJP? Our team of Millennial professionals is eager to connect with you! All of our packages and consulting services are tailored to your specific brand needs. Take a few seconds to complete this form and one of our EJP team members will respond within 24-hours. Also, connect with us on Twitter, Facebook and Instagram.